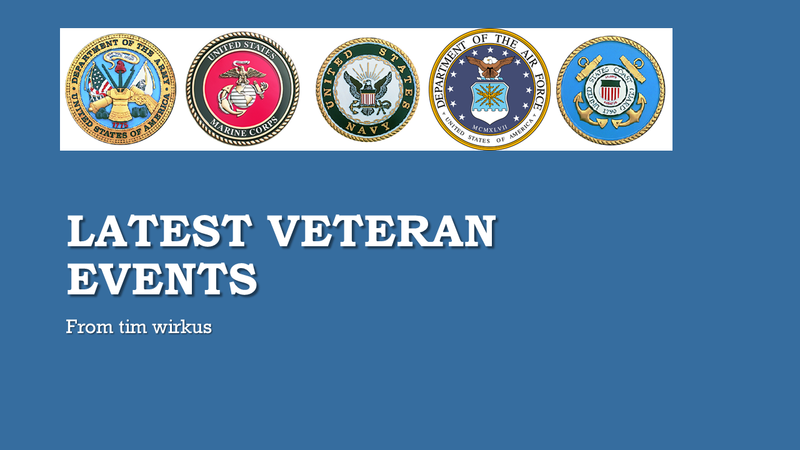 "Local PR Firm to assist local Veteran Groups" Road Reports LLC, a Michigan-based communication and public relations consulting firm, today announced a program to provide veteran organizations in Southeastern Michigan with pro bono public relations services. The firm, which also has operations in Southwest, Fla., is headed by John G. McCandless, a retired Navy Captain and seasoned automotive public relations executive. For complete info see complete press release. "Radio Remote Control Airplane Club" This group wants any veteran into RC aircraft to come out and fly for free with them! For more info see their website or flyer. "Thursday, March 22, 2018" The Desert Angel's are hosting another in their ongoing Packing Parties for the troops serving overseas, today at the Oakland Sportsman's Club, 4770 Waterford Rd, Clarkston, from 4 till 6PM. Our TROOPS are in need of the following items: VALENTINE COOKIES, COFFEE, HOT CHOCOLATE, GIRL SCOUT COOKIES, letters of encouragement. EVERYTHING from wipes, to food products, to snacks like dried fruits, nuts, meats, tuna etc. gum, candy.. even chocolate!! New socks and more socks, toiletries, so many items they do NOT have excess to. This is an opportunity to serve our TROOPS as they serve our country. YOU can make a difference! "Thursday, March 22, 2018" The 5th Annual Patrick Henry Awards, as part of Patriot Week, at the San Marino Club, 1685 E Big Beaver, Troy, starting at 6PM, dinner at 6:30. Tickets are $55 per person. For more see flyer. "Thursday, March 22, 2018" The Love A Vet Michigan Project is hosting a Reconnection Workshop with the American Red Cross at the U of M - Dearborn campus, 19000 Hubbard Dr, Dearborn, from 6 till 8 PM. For more info see flyer. "Friday, March 23, 2018" Veterans Community Action Team, Region 9, and USA Hockey, is hosting a Military Appreciation Night at the USA Hockey Arena, 14900 Beck Rd, Plymouth, starting at 5PM with a reception. Game starts at 7PM. Tickets are free if ordered by March 16th at Eventbrite. See flyer for more info. Also free parking! "Friday or Saturday, March 23 or 24, 2018" The FCA Foundation is making it possible for Veterans to attend a special Veterans Military Night at the DSO, 3711 Woodward, Detroit, for just $10. Show time is 8PM. For more info see flyer. For tickets visit their website and use promo code HEROESNIGHT. This concert is Beethoven's Seventh. 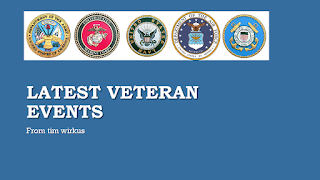 "Saturday, March 24, 2018 (NEW)" Disabled American Veterans, Post 1, is holding a veterans information fair from 11 till 1pm at 13221 Puritan, Detroit. VA benefits, employment, housing, & more. For more info call Danny at 313-460-1719 or see flyer. 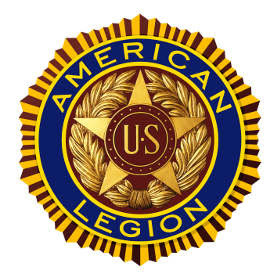 "Saturday, March 24, 2018" Disabled American Veterans, Post 129, & VFW Post 3908, are hosting a chili cook off from 11AM till 3PM at the Historic Red Barn, 47326 Dequindre, Shelby Twp. $5 admission for unlimited tasting, $25 entry fee for service orgs, $50 for food establishments. Call 248-977-7900 for more info or see flyer. "Wednesday, March 28, 2018" The Southfield Public Library, 26300 Evergreen, Southfield, is hosting the 11th annual Spell Bowl, 7 till 9PM. $40 per team fee. Pick up registration forms for your team at the front desk of the library & the word list. See flyer. "Thursday, March 29, 2018" The American Indian Veterans of MI (AIVOMI) is hosting a Welcome Home Vietnam Veterans Day at their location, 26641 Lawrence, Center Line, from 2 till 7PM. Mostaccioli, salad & garlic fry bread. Movies to be shown throughout the day. 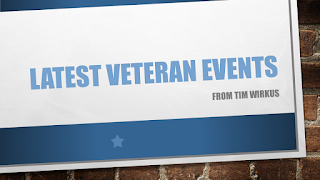 This is a free event for vets & their families. See flyer for more info. "Thursday, March 29, 2018 (NEW)" The Ann Arbor VA is hosting a Veterans Commemoration Even from Noon till 3PM, at the hospital, 2215 Fukker Road, Ann Arbor, 3rd floor Atrium, Freedom Bldg. Displays, Vietnam pinning, etc. For more info see flyer. 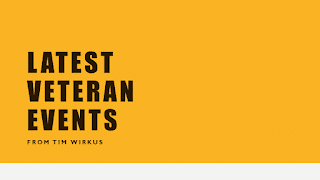 "Thursday, March 29, 2018 (NEW)" State Senator Mike Kowall & the MVAA are holding a Welcome Home Vietnam Vets in Lansing at the MI Veterans' Memorial Park, between Allegan & Ottawa Sts, Lansing, from 1 till 3PM. Exhibits and a Vietnam pinning. For more info see press release. "Saturday, March 31, 2018" Clarkston Legion Post 63 is hosting a Comedy Show with Kevin Downey, Jr., from America's Got Talent. Post located at 8047 Ortonville Rd, Clarkston. Tickets are $15 each, two for $25. Show starts at 7:30PM. For tickets and more info call them at 248-625-9912 or see flyer. "Wednesday, April 4, 2018 (NEW)" Southfield VFW Post 2645 will be holding its' monthly Spaghetti Dinner, and social, at 24222 W Nine Mile, Southfield from 5 till 7PM. Cost is $7 and includes a single meal, salad, & desert. A second helping of spaghetti is included. For more info see flyer. "Wednesday, April 4, 2018 (NEW)" The Yankee Air Museum presents another in their lecture series, this time about Clara Bryant Ford. Presentation by Mark Campbell of the Henry Ford Heritage Association. In the General Purpose Room of the museum, Willow Run Airport, starting at 7:30pm. For more info see flyer. "Thursday, April 5, 2018" The Desert Angel's are hosting another in their ongoing Packing Parties for the troops serving overseas, today at the Oakland Sportsman's Club, 4770 Waterford Rd, Clarkston, from 4 till 6PM. Our TROOPS are in need of the following items: VALENTINE COOKIES, COFFEE, HOT CHOCOLATE, GIRL SCOUT COOKIES, letters of encouragement. EVERYTHING from wipes, to food products, to snacks like dried fruits, nuts, meats, tuna etc. gum, candy.. even chocolate!! New socks and more socks, toiletries, so many items they do NOT have excess to. This is an opportunity to serve our TROOPS as they serve our country. YOU can make a difference! "Friday, April 6, 2018 " Southfield Human Services, Lakeshore Legal Aid, D. Augustus Straker Bar Association & the U of M Law School, are hosting expungment hearings from 2 till 6PM at the Southfield Public Library, 26300 Evergreen Southfield. Clear your criminal record, if possible. Free to all. Call 248-796-4542 or see flyer for more info.